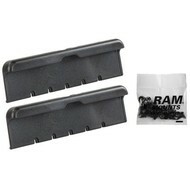 Set van 2 cups (de uiteinden) voor Tab-Tite RAM houders. 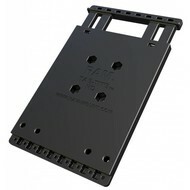 Te gebruiken voor eventuele ombouwen van bestaande TAB-Tite houder naar TAB28 of zelf samenstellen met losse Tab-Tie backplate. 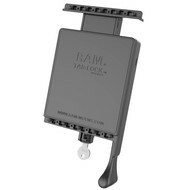 The RAM-HOL-TAB28-CUPSU includes (2 qty) Tab-Tite™ cup ends and hardware. The interchangeable support cups can be used, along with all RAM Tab-Tite™ and Tab-Lock™ mounts; these include the universal backplate that support all TAB cups. Width: Maximum width to 6.625" (16.8 cm)Depth: 0.315" maximum (0.8 cm). Alleen geschikt voor Galaxy TAB A 9.7 / TAB S2 9.7 ZONDER case.